TM-T88V, Thermal - Auto-cutter - Dark gray - USB and Parallel - Power supply. TM-T88V, Thermal Receipt Printer (Dual-interface, PoweredUSB and USB - PS180 Not Required) - Color: Dark gray. 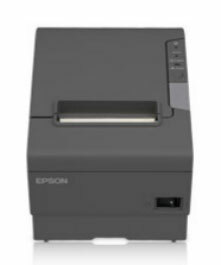 Dual interface printers require modifications to the printer to use the standard USB interface (USB standard port will not work unless you use power supply and reconfigure printer by removing the PoweredUSB card. Power supply (Part# C825343)). Please Call for more information. TM-T88V, Thermal Receipt Printer (Serial and USB, Energy Star with PS180) - Cool White. TM-T88V, Thermal Receipt Printer, USB and Parallel Interfaces, Auto-cutter. Includes power supply. Order interface cables separately. Color: Cool White. OmniLink TM-T88V-i, Thermal Receipt Printer with Retail-Hardened PC, TM-I/Ethernet Interface. Includes power supply. Color: Dark gray. TM-T88V, Thermal Receipt Printer (DB-9 Serial and USB with PS180) - Color: Dark gray. TM-T88V, Thermal Receipt Printer, PoweredUSB and USB Interfaces, Auto-cutter. No power supply. Order cables separately. Color: Dark gray. (Dual interface printers require modifications to the printer to use the standard USB interface. The standard USB port will not work unless you use power supply and reconfigure printer by removing the PoweredUSB card). Please Call for more information. TM-T88V, Thermal Receipt Printer, PoweredUSB and USB Interfaces, Auto-cutter. No power supply. Order cables separately. Color: Cool White. (Dual interface printers require modifications to the printer to use the standard USB interface. The standard USB port will not work unless you use power supply and reconfigure printer by removing the PoweredUSB card). Please Call for more information. TM-T88V, Thermal Receipt Printer, USB and Serial (DB-9) Interfaces, Auto-cutter. Includes power supply. Order interface cables separately. Color: Cool White. TM-T88V, Thermal Receipt Printer, USB and Serial Interfaces, Auto-cutter, Thai. Power supply (Part# C825343) and cables sold separately. Color: Dark gray. TM-T88V, Thermal Receipt Printer, USB and Serial (DB-9) Interfaces, Buzzer, Auto-cutter. Includes power supply. Order interface cables separately. Color: Dark gray. TM-T88V, Thermal Receipt Printer, Serial (DB-9) and On-Board USB Interfaces, Auto-cutter. Includes power supply. Order interface cables separately. Color: Dark gray. TM-T88V, Thermal Receipt Printer, USB and Serial (DB-9) Interfaces, Auto-cutter. Order interface cables and power supply separately. Color: Dark gray. OmniLink TM-T88V-i, Thermal Receipt Printer with Retail-Hardened PC, TM-I/Ethernet Interface. Includes power supply. Color: Cool White. TM-T88V, Thermal Receipt Printer, No Interfaces, Auto-cutter. 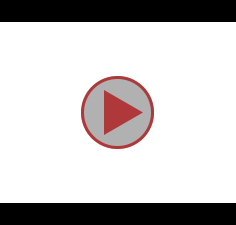 Order interface, power supply, and cables separately. Color: Cool White. TM-T88V, Thermal Receipt Printer (802.11b Wireless WPA/USB for US/Canada Only) - Color: Dark gray. TM-T88V, Thermal Receipt Printer, USB and Ethernet Interfaces, Auto-Cutter, Energy Star Rated. Includes power supply. 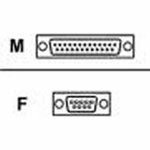 Order interface cables separately. Color: Dark Gray. 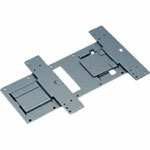 Universal Mounting Bracket, Wall Hanging Bracket - Compatible with Epson U220, T88IV, T88V, U230, T90, and L90.